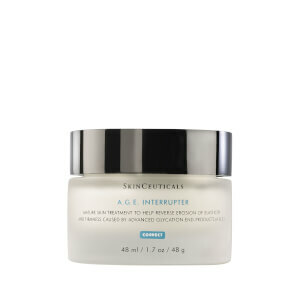 Drench and correct dry, ageing skin with the H.A Intensifier Treatment from SkinCeuticals. 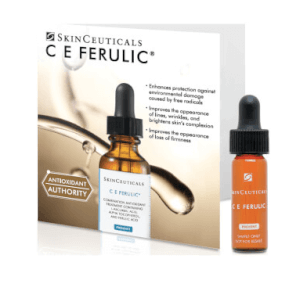 Suitable for all skin types, the unique serum contains a concentrated combination of pure Hyaluronic Acid and Proxylane™, which work in synergy to balance molecular moisture levels and support skin’s natural barrier function for an improved firmness. 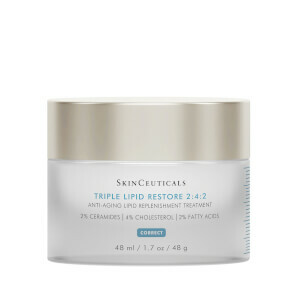 A unique blend of Licorice Root and Purple Rice extracts help preserve natural levels of Hyaluronic Acid for maximum efficacy and long term benefits, with skin left feeling smoother and more refined. A perfect addition to any skincare regime, the anti-aging treatment reduces the appearance of fine lines and wrinkles while improving elasticity levels for a visible plumping effect. Free from parabens and dyes. Aqua/Water/Eau, Cyclohexasiloxane, Glycerin, Alcohol Denat., Hydroxypropyl Tetrahydropyrantriol, Propylene Glycol, Dipotassium Glycyrrhizate, Polysilicone-11, Polymethylsilsesquioxane, Sodium Hyaluronate, Dimethicone, Tocopherol, Phenoxyethanol, Capryloyl Salicylic Acid, Octyldodecanol, Bis-Peg/Ppg-16/16 Peg/Ppg-16/16 Dimethicone, Peg-20 Methyl Glucose Sesquistearate, Ammonium Polyacryloyldimethyl Taurate, Caprylyl Glycol, Xanthan Gum, Dextrin, Oryza Sativa Extract / Rice Extract, Disodium Edta, Caprylic/Capric Triglyceride, Sodium Hydroxide, Adenosine, Citrus Nobilis Peel Oil / Mandarin Orange Peel Oil, Limonene, T-Butyl Alcohol, Cellulose Acetate Butyrate, Polyphosphorylcholine Glycol Acrylate, Polyvinyl Alcohol, Sodium Chloride, Butylene Glycol, Pentaerythrityl Tetra-Di-T-Butyl Hydroxyhydrocinnamate. I began to see my crow lines disappear in a few days. Not sure if this is permanent, but I'll be continuing to use and hope they keep fading away! 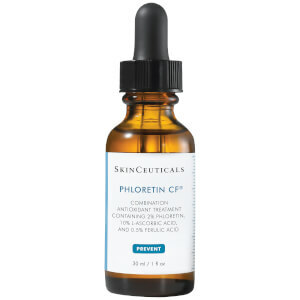 I'm a Skinceuticals devotee and have been using their products for over a decade, and purchased this to smooth my "parenthesis" lines; on the first application it stung, but I didn't think much of it, and foolishly applied it again that night- chemical burn! Red, burning skin turned itchy, bumpy, flaky overnight and it took 2 days with nothing but the mildest moisturizer on to bring it back to normal. I think it was the Proxylane, which is very strong, and the fruit acids which makes this thick and gooey, difficult to apply evenly no mater what. I have sensitive skin but read and researched a lot before buying this product, which is recommended for sensitive skin and even for post-procedures. Not for me! I bought this on a competitors site. Will buy here when it goes on sale. Great product ! 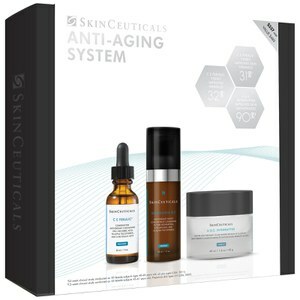 I really like the skinceuticals b5 gel. Still have it and use it. This is that plus more. The texture of this is amazing. A little goes a long way. I like the fact that it is not just a moisturizer enhancer but a treatment. I do think my skin is plumper since starting this.